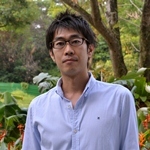 Fumio Motegi obtained his university diploma at Tokyo University of Science and completed his Master’s study and doctoral degree at the University of Tokyo. He did his postdoctoral work with Prof. Asako Sugimoto at RIKEN Center for Developmental Biology and with Prof. Geraldine Seydoux at Johns Hopkins University. He joined Temasek Lifesciences Laboratory as a Principal Investigator in August 2012 and holds a joint appointment at the Mechanobiology Institute (MBI) as a Principal Investigator and an Assistant Professor at Department of Biological Sciences (DBS) at National University of Singapore. Cell polarity, establishment of cellular asymmetry, is necessary for diverse processes in living organisms, such as asymmetric cell divisions and morphogenesis. Dedicated polarity proteins generate and maintain cellular asymmetry, leading to establish functional architectures in many types of cells. Despite the conserved roles of polarity proteins, a fundamental question remains unanswered: How do developmental cues break cellular symmetry along the body axes? These views will delve into the basic principles of cell polarization and yield insights into how a developing embryo commits to somatic or germline cell fates with precision and accuracy. The molecular similarity in C. elegans to that in other systems make it very likely that this project will greatly highlight conserved mechanisms and lead to insights into asymmetric divisions in stem cells, prevention of cancer, and tissue regeneration. Symmetry breaking is the process by which cellular uniformity is broken to generate asymmetry in space. The cue that triggers symmetry breaking leads to a modulation of cell cortex to generate two distinct domains. The C. elegans zygote becomes polarized after fertilization by generating distinct anterior and posterior domains: the anterior domain contains a complex of PAR-3, PAR-6, and atypical protein kinase C/aPKC (shown in magenta), and the posterior domain includes PAR-1 kinase and the RING protein PAR-2 (shown in green). Segregation of two sets of PAR proteins is critical for decision whether to become somatic cells or germ cells.